Most beautiful birthday or anniversary gift for her. 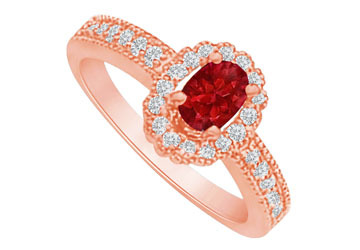 The exclusive design of this halo ring consists of created ruby placed over the rose gold shank in a prong setting. CZ accents add glittering glow. Make her feel proud of your selection. 1.75 CT TGW.